Adae To Remember: WHAT'S NEW WITH 555 SARDINES? 555 Sardines recently signed up Maine Mendoza aka Yaya Dub as their newest endorser singing to the tune of Sana dalawa ang Puso ko. An interesting activity also happened! 555 Sardines had a cooking showdown in town. 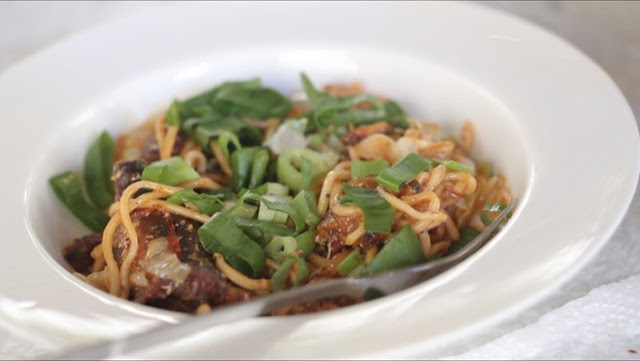 555 Fried Sardines recently held a cooking showdown that encourages to “Make Your Barangay Proud” in chosen Barangays from Pampanga, Pangasinan and Quezon. Participants featured their entries using 555 Fried Sardines as main ingredient in vying for the top spots per Leg. Filipinos are known to cook from the heart which shows why we love sharing meals with family as well as friends and 555 Fried sardines was able to highlight this culture through the Fried ng Barangay Cooking Showdown organized by Century Pacific Food Inc. and 88ville Productions. 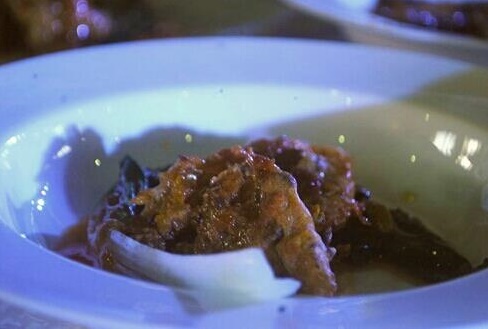 Using 555 Fried sardines variants such as Tausi, Hot and Spicy, Bistek, and Escabeche, participants were encouraged to come up with dishes that are not just nutritional but delicious as well. To further engage the whole Barangay, samples of the product were tasted as they enjoyed the event through various games and raffles. From the hundreds of entries submitted, Top 10 entries were chosen to participate in the actual demo which was furthered down to the Top 5 per Town who received the honors. While Mr. Larry Quinto, Grand winner from Brgy. Sindalan, San Fernando City enthuses that he draws his inspiration in creating his winning entry- 555 Fried Sardines Lumpiang Sariwa from his family. Serving healthy food to his loved ones is his top most priority. Maricel Quezada took the top place for the Quezon leg with Veggie Spicy Cordon Bleau Sardines drawn from her family’s love for vegetables. 555 Fried ng Barangay Cooking Showdown plans to visit other towns in the months to come. 555 Fried sardines and who knows your recipe might be the next highlight. Sardines may have been relegated as poor man’s staple as poverty rate rises in the Metro, but did you know that sardines can actually sustain every man’s vitamins and mineral requirements? Sardines supports your cardiovascular health as it is rich in Omega 3 fatty acids EPA and DHA, which have been researched to lower triglycerides and cholesterol levels. Moreover, sardines also contains Vitamin B12 which can prevent hardening of arteries. Sardines contains high level of Vitamin D that is optimal in bone building. Vitamin D helps in absorption of Calcium hence it plays an essential part in your bone health. Sardines also contains phosphorus, a mineral that is important in strengthening your bone matrix. Sardines are also rich in Protein which is the basis of muscles and connective tissues. Protein provides us with Amino Acids that acts as antibodies that keep our immune system strong. 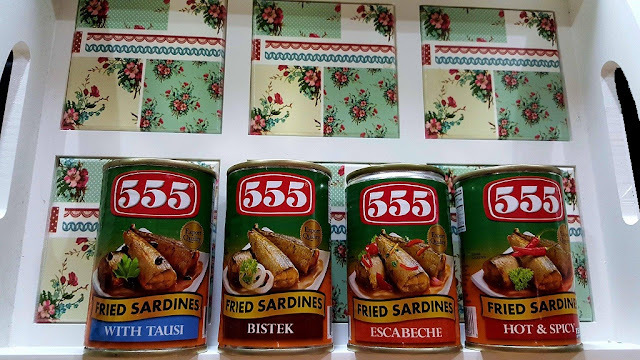 555 Fried sardines are available in supermarkets and Sari-Sari stores near you.